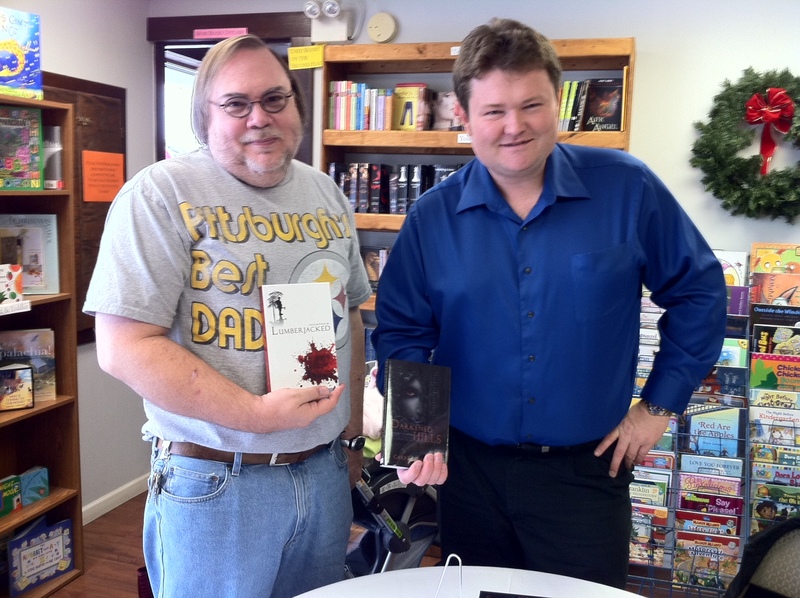 On Saturday, December 18, 2010, Darkened Hills author Gary Lee Vincent and Lumberjacked author Rich Bottles Jr. were at Kerri’s Korner bookstore in Fairmont, WV for a dual book signing. Burning Bulb Publishing is pleased to announce that both titles are available at Kerri’s Korner for $9.99. Both titles are in stock and available for IMMEDIATE purchase. Stop in today and pick up your copy of Darkened Hills or Lumberjacked. For more information (directions, title availability, etc. ), visit www.KerrisKorner.net. This entry was posted on December 19, 2010 at 10:24 pm and is filed under Press releases. You can follow any responses to this entry through the RSS 2.0 feed. You can leave a response, or trackback from your own site.